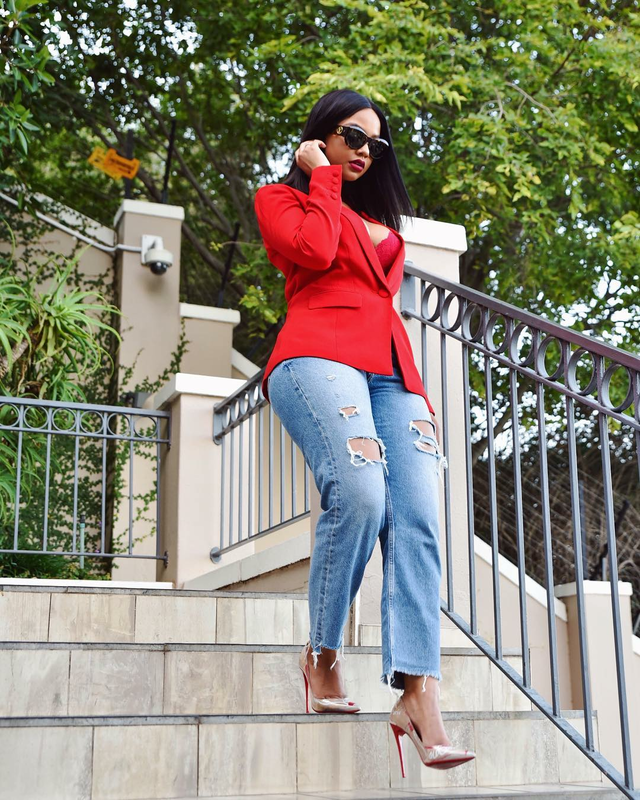 Here is Mihlali Ndamase showing us 3 different ways we can rock a red blazer/jacket with denim; either with heels, sneakers or espadrillles. Depending on your level of comfort and of course the "event" in mind, you may choose to go with either of the 3. 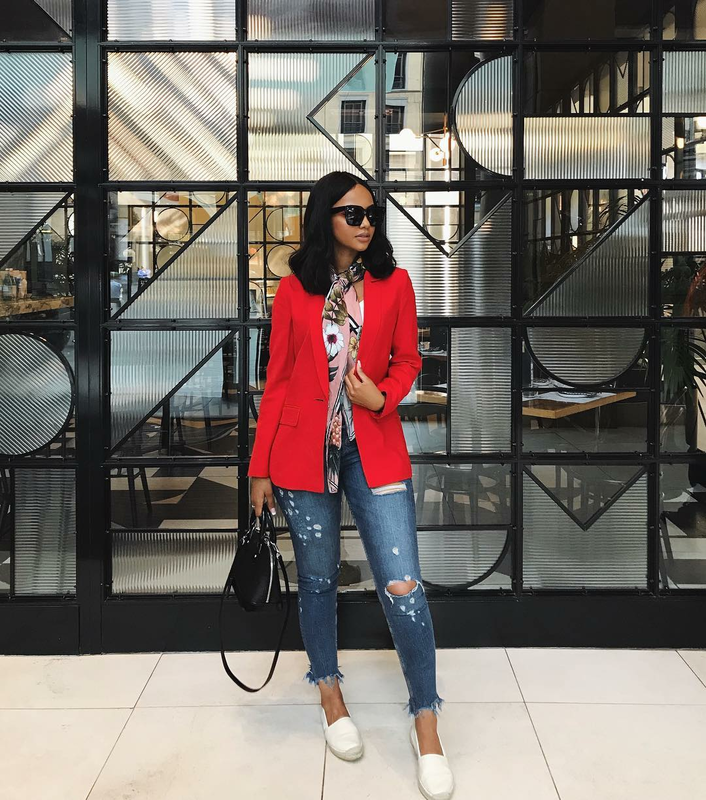 Which is your go to style?